A seventh grade prankster is determined to escape the all-girls academy where he’s the only boy—by getting expelled—in this “spectacular debut” (Kirkus Reviews) that’s perfect for “fans of Jerry Spinelli’s Crash and Loser” (Booklist). Jeremy is the only boy left after the school’s brief experiment in co-education. And he needs to get out. But his mother—a teacher at the school—won’t let him transfer, so Jeremy takes matters into his own hands: he’s going to get expelled. 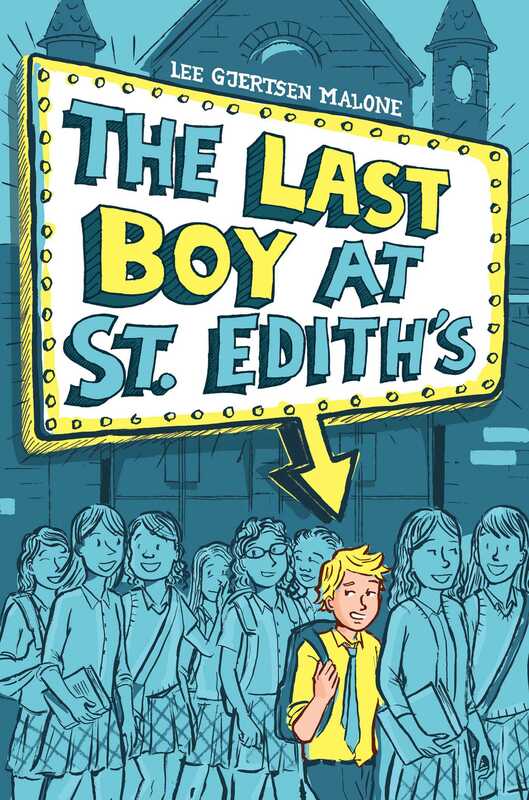 After an attempt togo coed fails, one seventh-grader remains the lone boy at an all-girls school.Jeremy Miner has become the last boy at St. Edith's Academy, and he can't takeit anymore. Everywhere he turns there are girls, and his family doesn't helpeither. All he has are sisters and a mom, a mom who works hard at St Edith's toget Jeremy free tuition to the prestigious school. Jeremy's family can't afforda different fancy school, and his mom refuses to transfer him to the subparpublic school. And so, in desperation, Jeremy conspires with his best friend,Claudia, to pull a series of pranks that he hopes will get him expelled. Theescalation in pranks is equaled by the dramatic complications: Malone uses thehigh-concept premise as a backdrop for her well-sketched characters. Every oneof these characters is given just enough shading and hints at an inner life tobe entirely believable. This is a completely thought-out world, and the authoruses it to explore class issues, family dynamics, gender roles, and preteenfriendship. Most impressively, the author doesn't shortchange any of theseexplorations, nor does she turn the book into a sermon. This is a funny,emotional book that will quickly become a favorite to many a reader, regardlessof age. Sweet, funny, exciting—a spectacular debut. Here are some serious odds: 475 to 1. That’s the ratio of girls to boys in Jeremy’s school. Instead of being a dream, it’s Jeremy’s nightmare. He has kept a careful log as, one by one, all 25 boys have found ways to transfer to other schools where they wouldn’t be teased for attending what is mostly known as a girls’ prep school. When his begging and pleading fall on his mother’s deaf ears, Jeremy resorts to pulling pranks in hopes he will be booted out. How far is Jeremy willing to go to leave St. Edith’s? When the Merry Pranksters, composed of Jeremy and a couple of his friends at St. Edith’s who decide to help him out, first emerge, they are cheered by many. However, no one was ever supposed to be hurt by the pranks, but they are, and with disastrous results. Humor mixes with more serious issues in this clever debut. Recommend to fans of Jerry Spinelli’s Crash (1996) and Loser (2002), which also deal with being the odd man out. Malone's debut is a sweet, candid novel about fitting in, messing up, and making amends. After seventh grader Jeremy Miner's Massachusetts private school reverts to enrolling girls only, every boy at St. Edith's leaves—except him. Since his single mother is a school employee and he attends free of charge, it isn't an option. Malone creates a charmingly hapless protagonist in Jeremy, who, feeling outnumbered, decides that he'll attempt to get expelled. He enlists the aid of his friend, Claudia, a headstrong aspiring filmmaker, who announces a one-word strategy: "Pranks." Harmless shenanigans (such as assembling stolen garden gnomes at the school's entrance) turn dangerous when Jeremy and Claudia tamper with doorknobs, and a classmate has an asthma attack while locked in the bathroom. Jeremy's doubts about his scheme magnify when his innocent sister is implicated in a prank, and his mother learns the truth. Jeremy's self-deprecating, sardonic humor and Claudia's ample self-confidence generate some authentically funny episodes as Malone's story addresses individuality, conformity, and finding friendship. Ages 8–12.